As I always believe, the world is a complicated place as it always been. The things that we get in touch with, leaves impression and affect our lives in a long period sometimes. That's why choosing the right medium of entertainment for our young ones is one serious matter and not to take it too lightly as the wrong entertainment will shape the next generation in a wrong way. 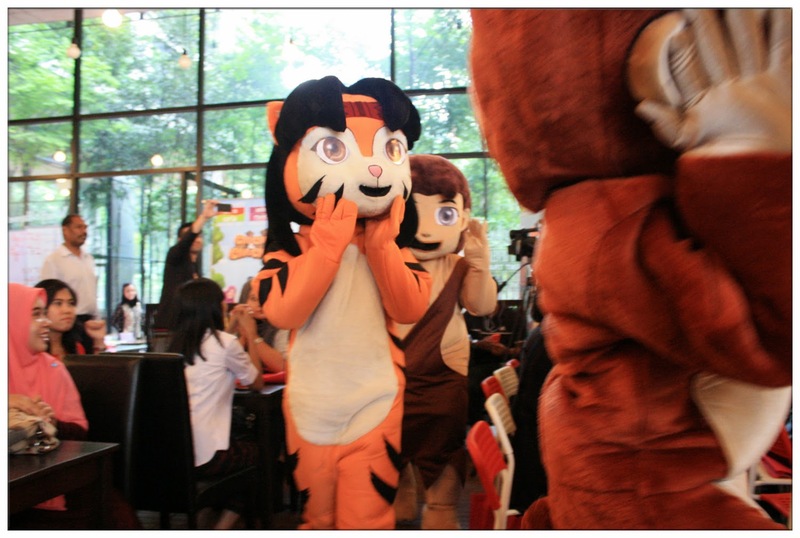 2 years is not a short period, and it is the time that's been used to produced Malaysia's very first local children edutainment programme for the kids of Malaysia called "ChiChi & ChaCha", Education + Entertainment is the new way of learning for the modern generation kids and this live action and 3D animated characters edutainment series is going to be on air soon on Astro Ceria Channel 611 and Astro Maya HD Channel 135. 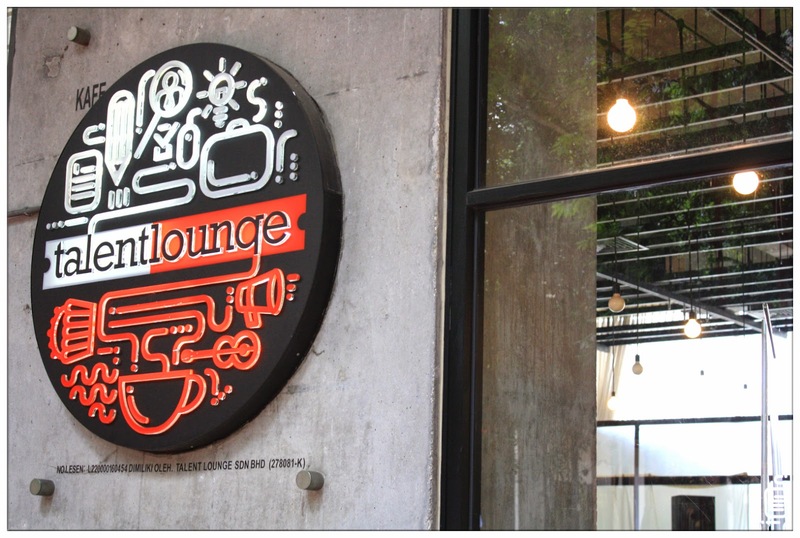 I'm glad to be introduced to ChiChi & ChaCha last week and be at their launch at a beautiful restaurant cafe called Talent Lounge. 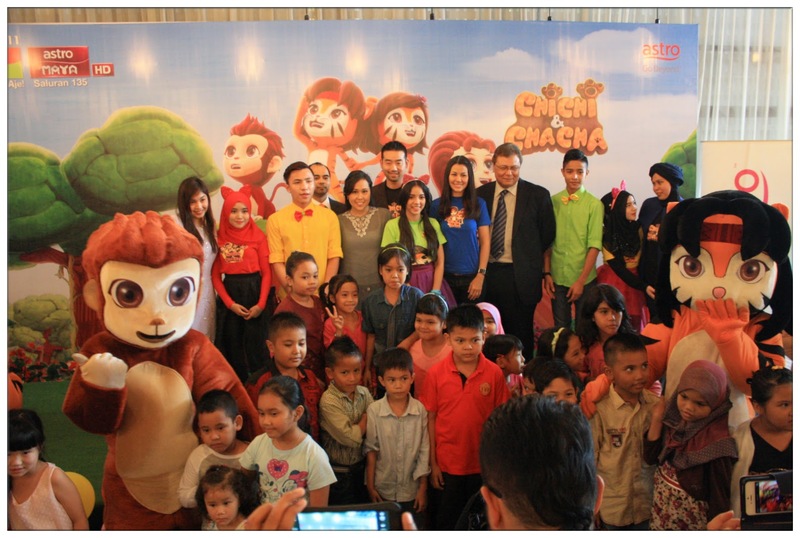 Lots of kids were invited to the launch, they are all excited to see the sneak preview of ChiChi & ChaCha. The launch took part on a breezy afternoon, and we adults were eager to see the production that took 2 years to present in front of our eyes and our next generation. Cheerful host started the programme at the launch. 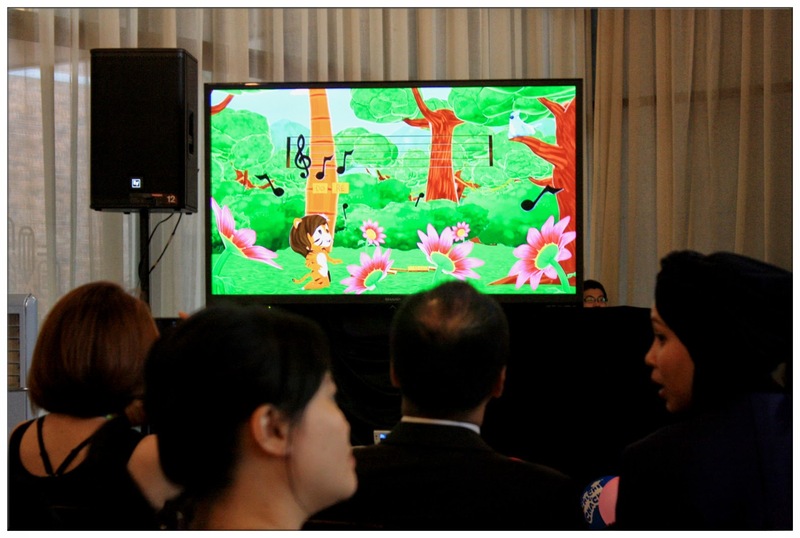 ChiChi & Chacha is the intellectual property of Big Fish Media, a joint venture between Educate to Learn (e2L) and Kyanite TV. Kyanite TV has been the premier production house in Malaysia which involved in some high end quality productions like Jejak Jepun Bersama Zizam (Astro), Chalk & Cheese (AFC), Letting Go with Jojo Struys (Mediacorp), Yuna Inspired (Astro) and many more. 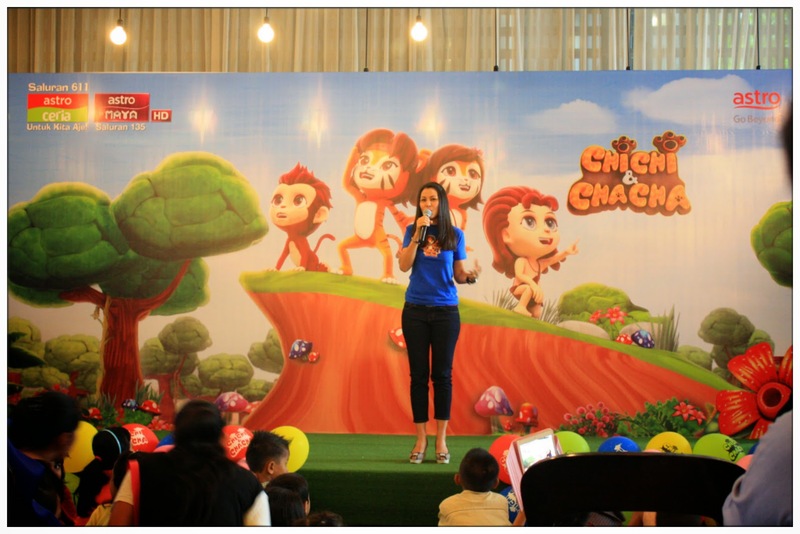 Jojo Struys being the Executive Producer of Big Fish Media, says that ChiChi & ChaCha will be more than just an entertainment for the Children of our generation. It combines education of wide variety topics which is high quality as well as meaningful to watch. She wanted to create a childhood memory that we Malaysian are familiar with, instill with positive thinking and way of life through ChiChi & ChaCha and live a happy childhood with all the positive energy that's been surrounding the children. Vice President of Multimedia Development Corporation (MDeC) is one of the proud supporter for this production of Big Fish Media "We at MDeC are always looking to support and encourage our Malaysian companies to think outside of the box and we would like to truly show the international community that we are capable of creating great things. I'm proud to endorse the vision and goals of Big Fish Media and would like to wish them best of luck in this noble endeavour." He said. 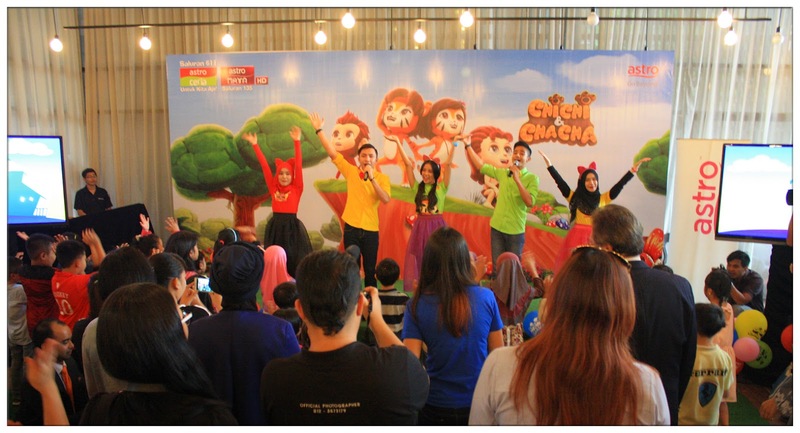 "Children of 80s grew up with beautiful memories such as Micky Mouse and Sesame Street as a child, those are entertainment that somehow more or less shaped us into what we are when we grew up, we want something good to be share with Malaysian kids, and this is the goal of ChiChi & ChaCha, for Malaysian children to grow up together with. " He added. Suddenly, the launch became so lively because the 5 energetic hosts were on the stage, dancing and singing with all the guests that were present at the launch. They are Sweet, Harris, Afeiq, Leen and Farisha. They may be at a young age but all of them have already been in the showbiz industry for so many years, they can sing and dance so well! 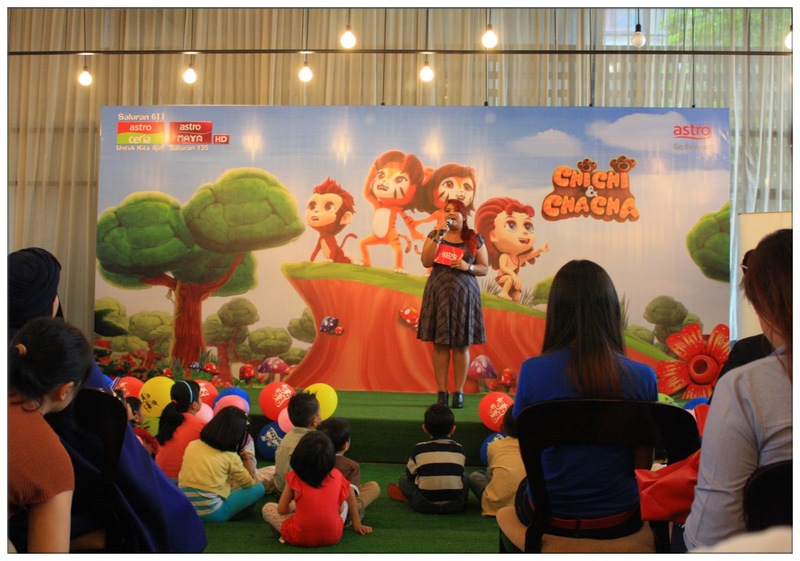 ChiChi & ChaCha will be on air on 11th October 2014, 10:30a.m. on Astro Ceria Channel 611 and Astro Maya HD Channel 135. 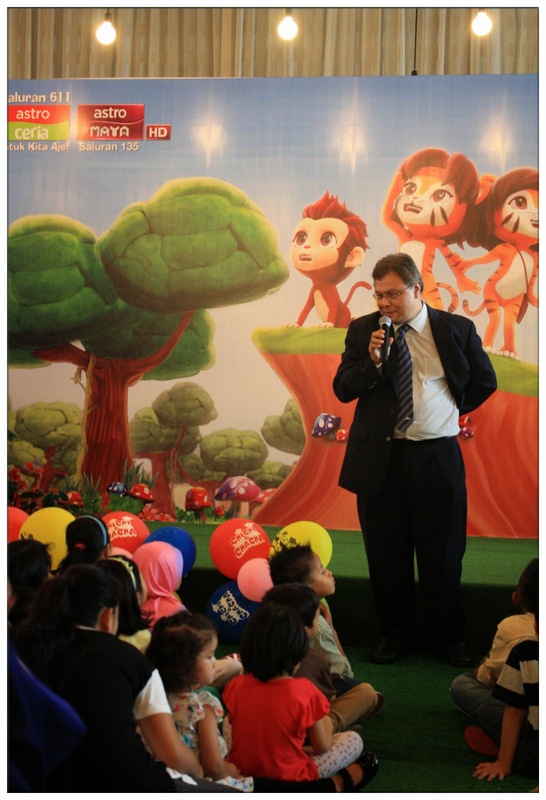 The programme will be in Bahasa Malaysia at the moment, which is a perfect introduction of Bahasa Malaysia to your kids. There's already plan to create this format in English but it will be in the next phase. 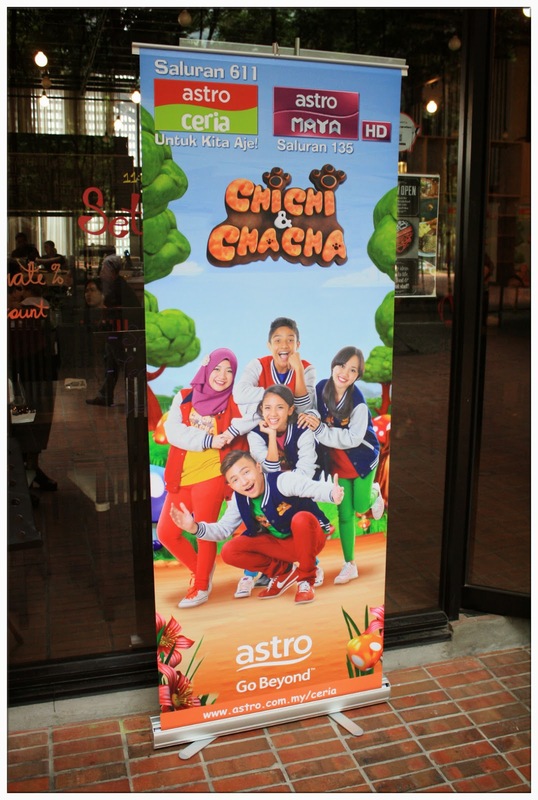 Papa and Mama, you don't have to worry of what your kids been watching anymore when you leave them with ChiChi & ChaCha!